Dating back to the Playoffs last season, the Warriors record against the Rockets is 4-6. While the four wins do weight bigger because those happened in the Playoffs, that record includes three straight losses this season. In their first meeting this season, the Warriors were blown out by 19. They lost a heart-breaker at home when James Harden knocked down a three-pointer to take them down in their second game. Houston held on to win in their third meeting ensuring that they win the series no matter the outcome of the final game. 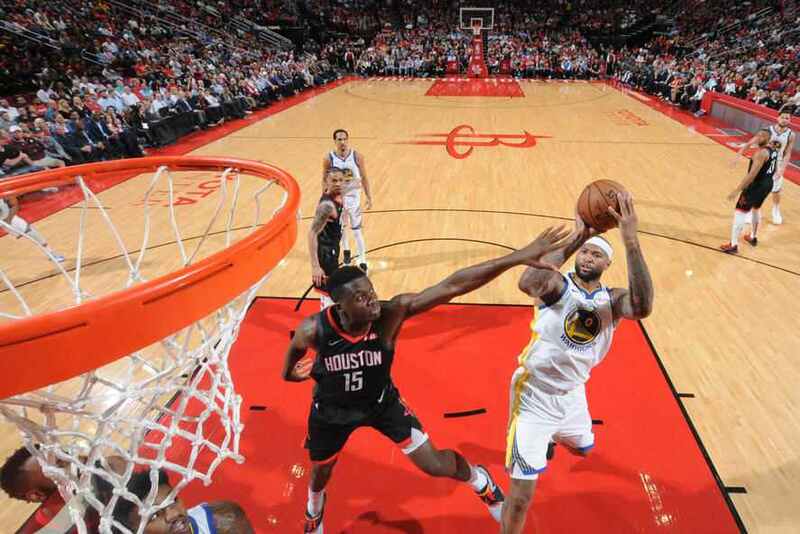 For their fourth meeting, the Warriors travelled to Houston to try to prevent a season sweep against their toughest rival to date. Golden State was set to face Houston without Kevin Durant who sprained his ankle in their last game. They would have to face a fully healthy Rockets team without one of their best players. Thankfully the three other All-Stars carried the scoring load. The Warriors looked like they were comfortably ahead, building a 14-point lead in the fourth quarter off seven straight points to open the period. The Rockets would not go down without a fight. Houston unleashed a 17-4 run to cut the deficit down to just one point after Chris Paul scored on an and-one. Steph Curry knocked down two clutch free throws to extend the lead to three. The Warriors fouled to prevent a three and Harden could only manage a split as time ran out on Houston’s comeback. DeMarcus Cousins flirted with a triple-double. He had 27 points, eight rebounds and seven assists in the wins. He looked comfortable on both ends of the floor even as Houston tried to attack his defense of switches. Klay Thompson led Golden State with 30 points on five three-pointers. This win ends the Rockets’ nine-game run and puts them in tight battle for third against OKC and Portland. The Warriors are still comfortably ahead in the West. The last time Russell Westbrook was in the headlines, it was after his encounter with a Jazz fan in Utah. He issued a statement on the video that came out and tried to clear the air on what happened after the game. The Jazz for their part conducted an investigation and banned the fan from all of their games for life. Westbrook wanted to move past that incident. What batter way to do so than showcase his stuff on the court. The Brodie put up another triple-double with 31 points, 12 rebounds and 11 assists. He was feeling it the entire game and even dropped a shimmy after a three-pointer. Westbrook led the Thunder to a big win to stay in contention for the third seed out in the West. The Grizzlies were blown out by the Hawks today. In fact, the Grizzlies haven’t been that good for a while now. They’re headed to the lottery once again and are in full rebuild mode. None of that matters to Joakim Noah. He plays with the same unique energy where ever he goes. Down by double digits to the Hawks, he stepped back for a mid range jumper and unleashed some finger guns like he’s been draining long bombs all game long. And then he was doing… something… during a free throw. That’s some big Jo energy right there.